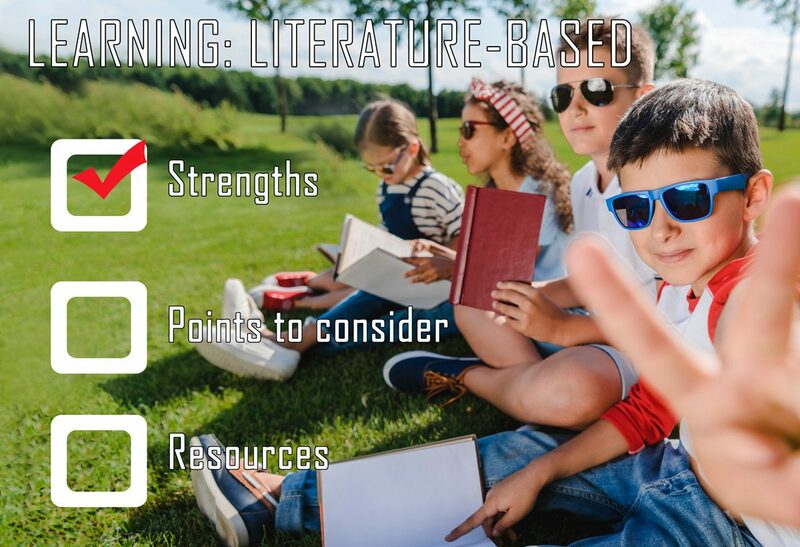 The literature-based homeschool avoids the use of textbooks and workbooks whenever possible, using high-quality literature instead. “High-quality literature” is also referred to as “Great Books”, “Living Books” and “real books”. Literature choices may include: fiction or non-fiction written by renowned authors; children’s books; chapter books; popular best sellers; biographies; historic fiction; online magazines; relevant ancient texts and original source material such as historic journals, eyewitness accounts and correspondences. A literature-based homeschool day might include sitting on the couch to read books together; some memory work or copy work from good literature; discussion, quizzes, written summaries or student narrations about what was read; some colouring or crafts while listening to stories; and, further reading or discussion over dinner about what was learned during the day.